Mad Hatter Tea Party - Planning and Hosting Tips - Make Memories! A Mad Hatter Tea Party is a wonderful, fanciful event for kids (and adults, alike). While hosting this themed Alice in Wonderland event will require some planning, it is sure to create memories that will be treasured for years to come. An enjoyable venue for your afternoon tea is outside in your yard or in a nearby park, weather permitting. Thick green grass, flowers and trees will serve as an ideal setting. Yet, you can also create a fun, colorful environment for your Mad Hatter Tea Party in your home or in rented party space. Once you have selected your venue, set your date and created your guest list, plan to mail or hand deliver your Mad Hatter-themed invitations three weeks before your event. Request that recipients RSVP one week before the tea so you can finalize food and party arrangements. Make your invitations whimsical and fun. They can take the form of a playing card, teapot or keyhole. Have the look and feel evoke the tone of event you are hosting. Use classic Alice in Wonderland quotes, including "Don’t be late for this very important date" and "Would you tell me, please which way I ought to go from here." In the invitation verbiage, request that attendees "Join you in Wonderland" and come dressed as their favorite Alice in Wonderland character. Hand address each invite and including your own touch of creativity with special pictures, ribbons, and other details. The table where you will serve your tea and treats serves as the center piece of the event. Set the table elegantly with attractive cups and saucers, different teapots, and cloth napkins tied with ribbon bows. Adorn the table with colorful flowers and Alice in Wonderland-themed items such as a checkerboard, "looking glass" mirrors, keys, clocks, and more. In addition to the table appointments, have themed decorations in the party area, including signs that say "this way," "up," and "down." Use giant queen-of-hearts playing cards, a depiction of the rabbit hole, and an oversized image of Cheshire cat. A doll house will also add a fun touch to the party environment. For a fun party activity, have children design their own Alice in Wonderland tea cups with tea set crafts. Cups and saucers come as unfinished ceramic for customized design of their choice. Display character photos for them to base their designs. During activities, play Alice in Wonderland movie music or the audio book version in the background to add an air of authenticity to your Mad Hatter Tea Party. If your venue is outside, set up a short obstacle course with tunnels, hoops and different-sized chairs. Play croquet and have a designated area to play card and board games. Offer a variety of teas that your guest will enjoy, based on the age of the party attendees. 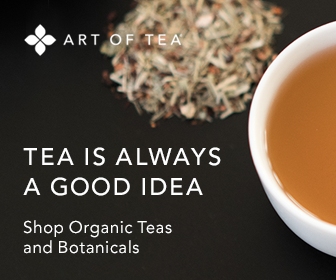 Popular non-caffeinated teas include fruit tisanes and rooibos choices. Green and white teas also have minimal caffeine and come in delicious flavored blends. Tea bags are an easy way to provide tea options for guests. Though, brewed loose leaf tea will have the flavor advantage. So you need to determine which form of tea is best suited for your party. Serve the tea in pretty tea cups and saucers. Have honey, sugar and/or other sweeteners on hand, as well as a plate of lemon slices. The type of food you serve at your Mad Hatter Tea Party will also be dictated by the age of your guests. As a general rule, have your party menu include a mixture of sweet and savory choices. Flavorful sandwiches such as those made with chicken salad and celery or cucumber and cream cheese are tempting to most everyone's palate. To complement the sandwiches, prepare a pleasing platter of crudités — an array of raw vegetables such as celery, carrot sticks and snap peas served with dip. Also consider serving a variety of cheese and crackers or breads and jellies that are artfully displayed on a large tray or two. For dessert, a variety of cookies, bite-sized cakes, cream puffs, and other sweets always delight guests. Before finalizing your tea selection and party menu, you may want to engage some children as " taste testers" to see which food choices are favorites. You may also want to give your guests a small take-home gift. When the party is coming to a close, hand each guest a small Mad Hatter-themed momento, such as an oversized key (with key chain), plush white rabbit, illustrated copy of the book, or gift bag of fruit tisanes to brew at home. For more tips on tea party planning, click here: hosting a tea party or see the related articles listed below.